Congratulations to our Client Mother Trucker for their feature on KTLA 5 News! 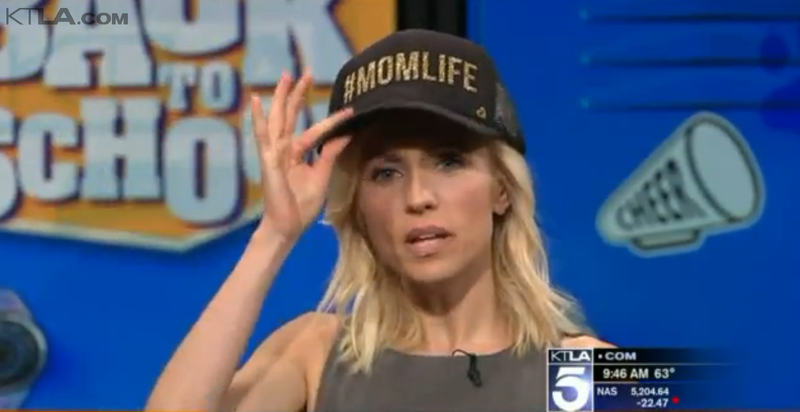 Celebrity Stylist Anya Sarre joined KTLA 5 News with pick up and drop off style secrets for moms including trendy trucker hats from Mother Trucker! Hiding bed-head? Straight from yoga to lunch? Pulled another all-nighter with a sick tot or meeting a deadline? Hide in shame no more. Wear your usual attire and add a Mother Trucker. Your look is transformed into style, with or without make-up. Busy women from all walks of life can appreciate a stylish hat, but moms with young children can actually experience a complete change in their total wellbeing when finding a fantastic looking hat. Mother Trucker is definitely setting the standard. Trucker Hats are a household name, partly due to the comfort and fit of the caps. Mother Trucker adds their prominent hints of chic glamour to every hat, making them ultra-distinguishable and oozing with pizazz. Vibrant colors with trendsetting hashtags and mottos with a dash of sparkle make up this hat line.